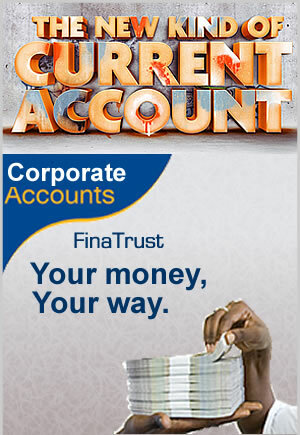 The Corporate Current Account at Fina Trust Microfinance Bank offers a convenient way to manage your day-to-day finances. It is a checking account that allows you to carry out routine banking transactions with third parties and allows you enjoy easy access to your money from any online real-time. We understand the unique banking needs of our corporate clients and are committed to providing them with competitive and flexible banking services. We offer top of the industry range of innovative financial and business solutions to all our clients.